Focusing your WeChat targeting on location, interests, and demographics isn’t enough to run high-ROI campaigns in an increasingly competitive Chinese environment. Tencent is finally improving their advertising options: they rolled out last year Lookalike audience targeting, a feature Facebook has been offering since 2013. According to digital performance agency Bamboo, the majority of your Facebook budget should go to Lookalike audiences, which consistently show a higher click-through rate. Is it the same with WeChat? How does WeChat Lookalike compare to Facebook’s? Splio’s technology enables marketers to identify and bind customer data on all channels on WeChat in order to help them reduce and optimize acquisition budgets. BUT: like any algorithm, what goes in affects what goes out. The higher the value of the profiles you feed the algorithm, the better the lookalike audience will perform. The highest ROI will be using you best customers as a basis. You can use a CRM platform like Splio to extract the profiles of your best customers matched with a WeChat profile and use them as a seed population. More on that below. How is WeChat Lookalike targeting different from Facebook? A larger seed population: while you can create a Facebook Lookalike population out of your 100 best customer profiles for a country, the minimum seed population for Tencent is 2,000 profiles. Both recommend a similar seed size range though (5,000 to 20,000). Expansion size: while the top 1% matching population of a country shows best performance for Facebook, there is little documentation yet on the best performing expansion size range. Tencent’s official documentation states that an ideal expansion size for a 20,000 seed database is 1 Million users, and the accuracy significantly drops above 10 Millions. Offline targeting: unlike Facebook, Tencent offers to create seed populations based on MAC addresses, as captured via in-store WiFi for example, which would typically allow for O2O campaign targeting. 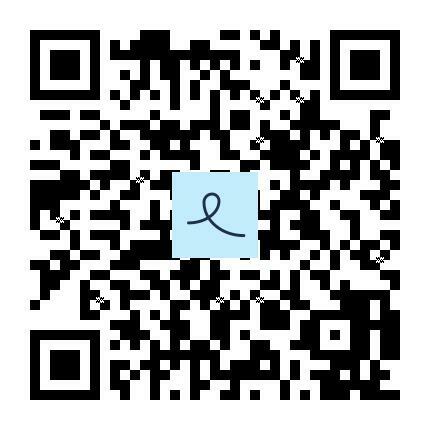 Moreover, if you use OpenIDs as a seed population, you can use any offline source as your seed population: WeChat WiFi users, followers from store QR codes, offline use Mini Programs etc. The Lookalike expansion interfaces look very similar. WeChat use absolute population size increments, and Facebook a proportion of a country’s Facebook population. The most effective Lookalike targeting: using your customers as seed audience. To be noted: you can also use directly segmented WeChat IDs for targeting (OpenIDs, UnionIDs), although this is not offered on the advertising backend at the moment: you need to connect directly with the Tencent team or one of their accredited agency for such a targeting (they minimal budget required is usually higher than when using directly the advertising backend). with a significant proportion matched with WeChat profiles. WeChat Lookalike is quite similar to Facebook’s feature, but with a higher barrier to entry (budget and size of the seed population), and a higher focus on offline data as a source. And just like Facebook, the highest ROI is when using profiles of your actual customers as a basis for targeting. Splio helps brand marketers to segment their most valuable customers matched with a WeChat profile and have a maximal ROI on your WeChat advertisement.